16th of December, time to reveal the next BB Advent window. Aah! This exquisitely delicious roast pheasant in a bag recipe, photographed by the award-winning Jean Cazals. This is the perfect alternative to the traditional Christmas roast turkey. We’ve put the recipe up if you’d like to try something different this year. Just visit our recipe page for this gorgeous dish alongside many other stunning recipes. Don’t forget to tag us on facebook, instagram or twitter with the results of any of our recipes that you try. You can also share pictures of any other festive adventures you are having, whether it’s roaming a Christmas market or having a festive tipple with friends. 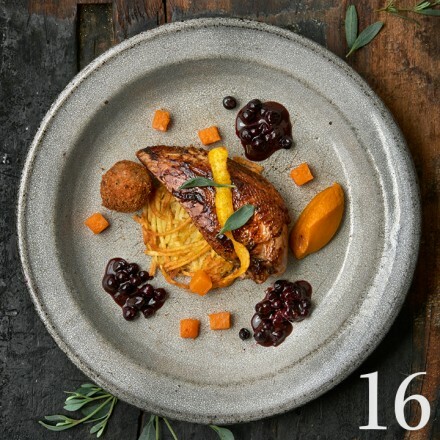 Just tag us using the #bbadvent and we will enter you into a weekly prize draw to win some exciting prizes including some of our beautifully designed bespoke Christmas crackers, our gorgeous charity Christmas cards, and Brasserie Blanc gift cards to be spent in the New Year. Our advent calendar is filling up with beautiful festive pictures, recipes & weekly giveaways, waiting to be revealed day by day. You can follow along with us on Instagram, Twitter & Facebook to join in the Christmas countdown.